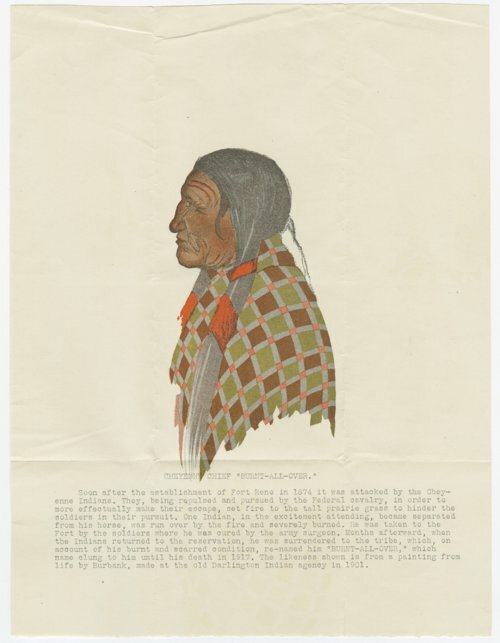 This is a drawing made by Burbank at the Old Darlington Indian Agency of Chief Burnt-All-Over. He received his name after after being severely burned during a Cheyenne attack of Fort Reno in 1874. The chief died in 1917. Funds for digitization provided by Mr. Steve Peckel in memory of William Chalfant.